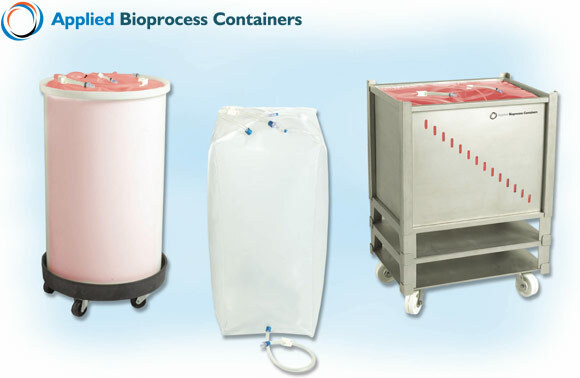 Applied Bioprocess Containers' single-use bioprocessing bags are designed for the preparation, collection, storage and transport of biopharmaceutical liquids. Using proven materials and components, these products were developed to be readily integrated into new and existing single-use process applications. ABC single-use bags provide broad chemical compatibility for safe handling of a wide range of biopharmaceutical liquids. ABC single-use bags are constructed of multilayer films optimized for bioprocess production applications. Film materials are consistent throughout the product range, with LDPE as the fluid contact material and EVOH as the gas barrier layer. All standard products are certified to be free of animal derived components. For more information on Applied Bioprocess Containers visit www.appliedbpc.com.